Read the summary of all 66 books in one night. What This Offering Will Do For You - Provide you with a "Cliff Notes" synopsis of the entire Bible from Genesis to Revelation so you can grasp the main stories and ideas. You can become familiar with the entire Bible in one night. Each book from Genesis to Revelation is summarized highlighting the most significant parts of each book. PLUS, also include are geographical references & secular chronologies of other world events happening at the same time and archeological findings that validate the occurrence of Biblical events. DID YOU KNOW?? that the prophet Isaiah began his ministry about 7 years before Rome was founded? Did you know that the prophet Daniel was captured by Babylonians about the same time that temples were erected to Zeus in Greece? Did you know that Daniel was in the lions den in Babylon about the same time that Pythagoras invented geometry? Did you know that the Israelites entered the promised land about the same time India started producing silk? ; in about 1400 BC. Did you know that China invented the harmonica about 5 years before the prophet Samuel was born? ; about 1100 BC. China starts using ice as a refrigerant about the time David is crowned King of Israel. Did you know that the Bible states that Jonah was swallowed by a "big fish" and does not specify a whale? Joseph is in Egypt about the same time as astronomy started in Babylon; 1800 BC. The first recorded murder of Abel (herder & younger son) killed by Cain (farmer & older son of Adam & Eve). The forbidden fruit of Adam & Eve probably wasn't an apple as they don't grow in the Middle East but probably was an apricot or pomegranate like fruit. These and many more are of these revelations are depicted in these notes. Read & Understand each book of the Bible in one night if you choose. Plus: read and understand our US founding documents. Other Great Offerings: The Federalists Papers - almost 400 pages in MSWord of our founding father's John Jay (then Governor of New York), Alexander Hamilton and James Madison, open letters on how the country was to be formed. All 85 open letters to the public on how our country should be formed. They were published in newspapers the later part of the 1700's. They discuss among others, the presidency, congress, the courts, taxation & much more. The Sunday talking head shows often refer to the Federalist Papers and now you can know what they are talking about. Available by return e-mail only. Did you know that the Declaration of Independence was signed by 56 notable patriots but not George Washington? or that only 39 signed the Constitution, including Washington? All 13 Colonies (New Hampshire, Massachusetts, Rhode Island, Connecticut, New York, New Jersey, Pennsylvania, Delaware, Maryland, Virginia, North Carolina, South Carolina and Georgia) signed the original Constitution except for Rhode Island? The first House of Representatives only had 65 representatives? The 1st Amendment off the Constitution merely states that the government may not proclaim a national religion? NO SEPARATION of Church & State was mentioned... Read it and give me your thoughts. We also offer the Mayflower Compact, Federalist Papers & The Magna Carta. 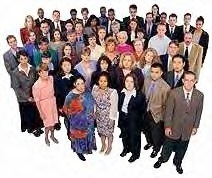 Together offered at $5.00 by return e-mail only. My Bible Notes include the synopsis of the missing books of the Bible or the Apocrypha, too.
. These books while omitted from many Protestant Bibles in the US are included in the Catholic Bible, Greek Orthodox Bible & several Eastern European Bibles including the Russian Orthodox Bible. This is very interesting reading. I wrote this in a pursuit of truth for myself and those I love. It's hard to pass the test if you don't read the book. I wanted my kids to have a basic understanding of the Bible; Jesus, what happened & it's significance from a Christian viewpoint. Most young people prefer reading something that is short, thorough and to the point. Come to think of it, most everyone appreciates this type of writing. Being a bagpipe playing Scotsman, (noted for being frugal) I wanted to present this in as compact of a format as small as possible. I figured the smaller it was the more likely it would be read. Kids don't like to read that much generally. Here is what you get. My "Bible Notes" are 44 pages of single spaced 10 point type with small margins. Again, it reads from Genesis to Revelation & includes the books of the Apocrypha, the forgotten books of the Bible. There is a whole lot of information here, tightly packaged for ease of use. I have had great reviews from people who have read it, telling me how much they learned & how much clearer the Bible was to them now. I must admit that I learned a whole lot about the Bible in writing this also. 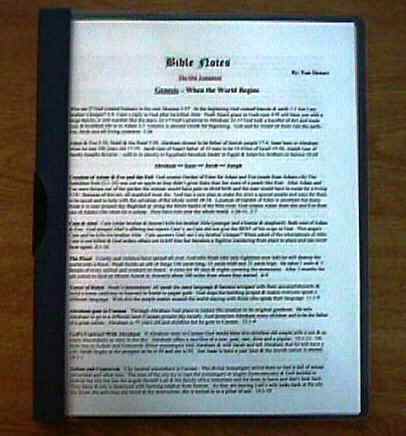 Get your Bible Notes for $24.95 NOW $14.95 and Remember, I am also throwing in FREE copies of the US Constitution (With all amendments including the Bill of Rights), Declaration of Independence and interactive study of the whole Koran. Maybe this can explain some of the world strife today. These documents are probably the most quoted and yet least read documents in the world today. Read them now and increase your understanding.